Make your valentine feel special by following the unique Valentine ideas we give you here; don't go for the routine stuff on the day meant for lovers. No one doubts your love for the special someone one in your life. 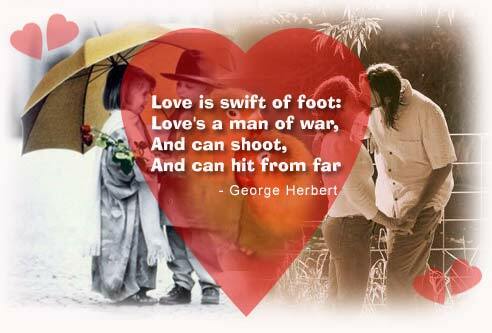 But to make the day meant for lovers - "Valentine Day" exceptionally memorable for her or him, you are at the right place. With the advent of the month of Romance - February, all the lovers come in dilemma as to what to gift to their loved ones or else how to celebrate this special day. Here you will know everything about valentines; from creative gift ides to the most romantic movies of all times, valentine dinner ideas to special valentine recipes, history of valentine day to the most famous lovers. This multicultural festival is perhaps the only festival celebrated all over the world with the same spirit and gusto to express love to the special someone in your life. Don't let go this opportunity waste if you have been longing to utter the romantic words "I Love You" to someone. Even if you wish to replenish your lost love and make her or him feel special all over again then this is the ideal day to do so. Fourteenth February is the day you can convey your feelings to someone special simply by sending flowers, chocolates or just a greeting card saying it all in a poetic way. Or else moving away from the conventional ways you can pick up some unique ideas we have mentioned here. Contrary to belief Valentine day is not a festival meant solely for youngsters. Crossing the forty's should be no reason that you restrain from celebrating the lovers day. In fact after all those years there is an urgency to keep the romance alive in your life. Just remember on this day that your valentine has been your great friend, your soul mate, your supporter in all odd times. So making her or him feel special is deemed necessary on Valentine day, not that you can't do the same on other days. "What are you waiting for?" Check out the greatest love stories, romantic movies, recipes and much more right here.